Earlier this week, beloved Paris landmark Notre Dame was devastatingly engulfed in flames. Now that the fire is out, plans are being made to restore the building. In addition to some help from the Assassin's Creed community, Disney is the latest pop cultural entity to get involved. The Walt Disney Company has announced it will make a $5 million USD donation to support the rebuild. "Notre-Dame is a beacon of hope and beauty that has defined the heart of Paris and the soul of France for centuries, inspiring awe and reverence for its art and architecture and for its enduring place in human history," CEO Bob Iger said in a statement. "The Walt Disney Company stands with our friends and neighbours in the community, offering our heartfelt support as well as a $5 million donation for the restoration of this irreplaceable masterpiece." 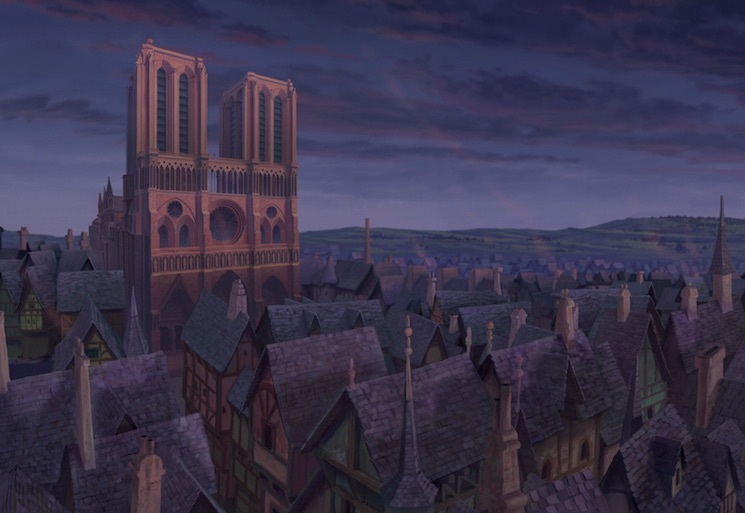 Of course, Disney's relationship with the cathedral is particularly notable thanks to their 1996 hit The Hunchback of Notre Dame, an adaptation of Victor Hugo's novel of the same name. Disney is not alone in the donation. According to CNN, France's three wealthiest families have donated a combined total of $700 million USD to support the restoration of the cathedral.